In the mid 1950s, General Electric developed a radar with a search altitude of 100,000 feet and a range of 270 miles. 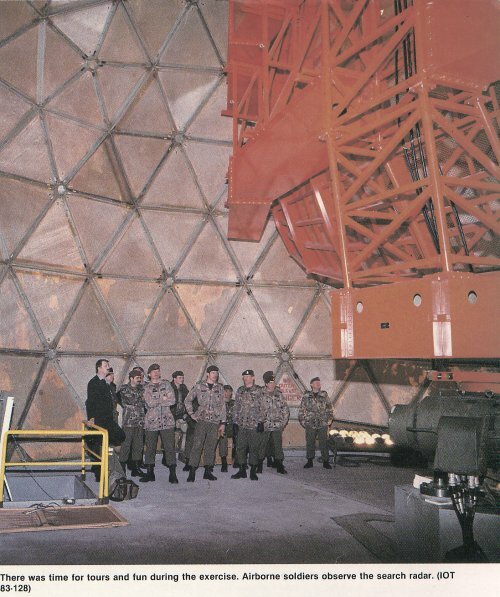 This radar was significant in that it was the first stacked-beam radar to enter into production. Designed to operate in the L band between 1250 and 1350 MHz, the radar was deployed to Pinetree Line sites in the early 1960s. This radar equipment was used in SAGE operations. AN/FPS-7C search radar antenna in Sioux Lookout, Ontario - 1983.